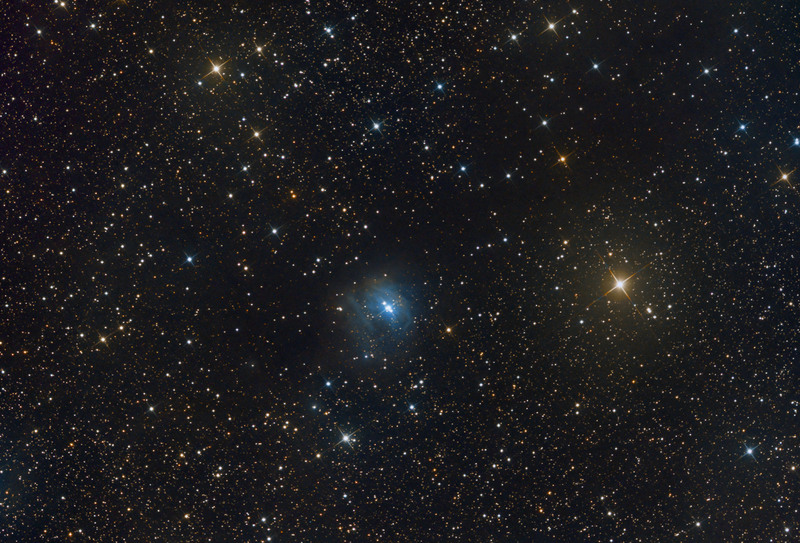 VdB 81 (also catalogued as IC 448, Ced 79, DG 107, Magakian 203, LBN 931) is a reflection nebula in the constellation Monoceros. 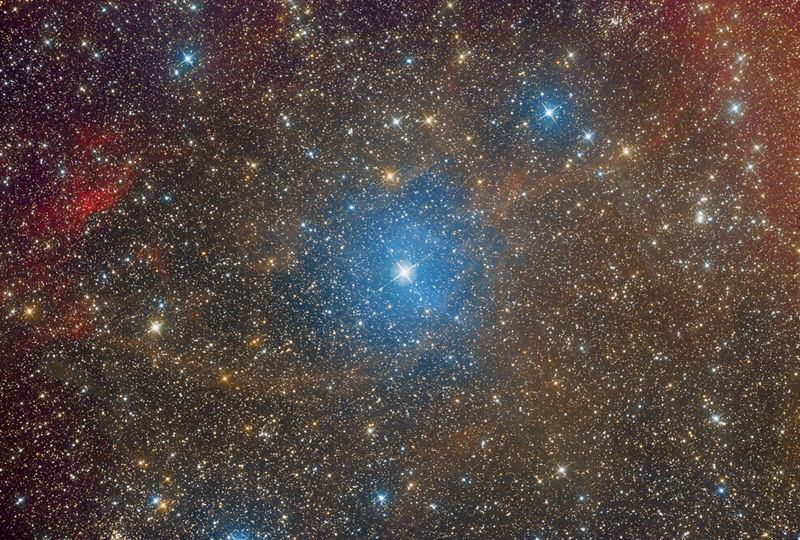 Situated between NCC 2261 (Cone nebula) and NGC 2237 (Rosette nebula), VdB 81 is illuminated by the 4.47 mag. and A0Ib spectral class star 13 Monocerotis (HD 46300). Two open clusters - NGC 2236 and NGC 2254 can be seen on this image (see the annotated mouseover).